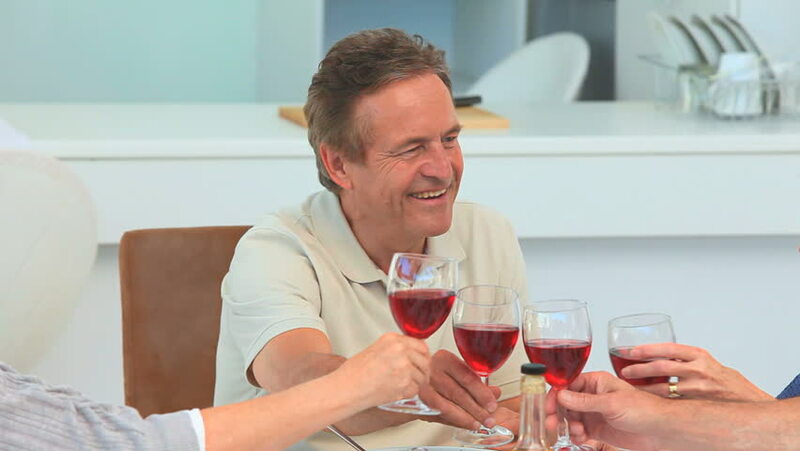 hd00:11Video of a happy mature couple talking closely and toasting with glasses of red wine. 4k00:15Back of man with glass of red wine and portrait of happy smiley senior woman with grey short hair with glass of wine. Couple talk and enjoy time together. Happy family.